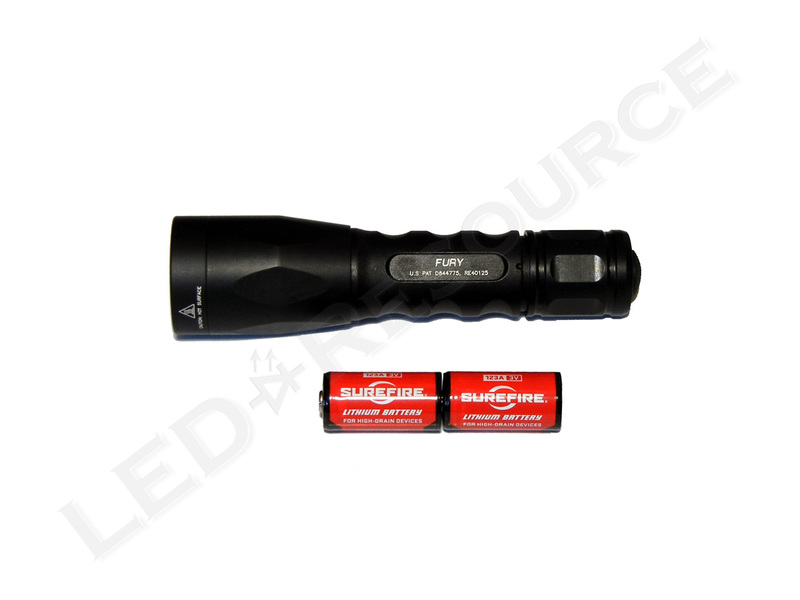 MSRP for the SureFire P2X Fury is $155, and the light is only available in black. 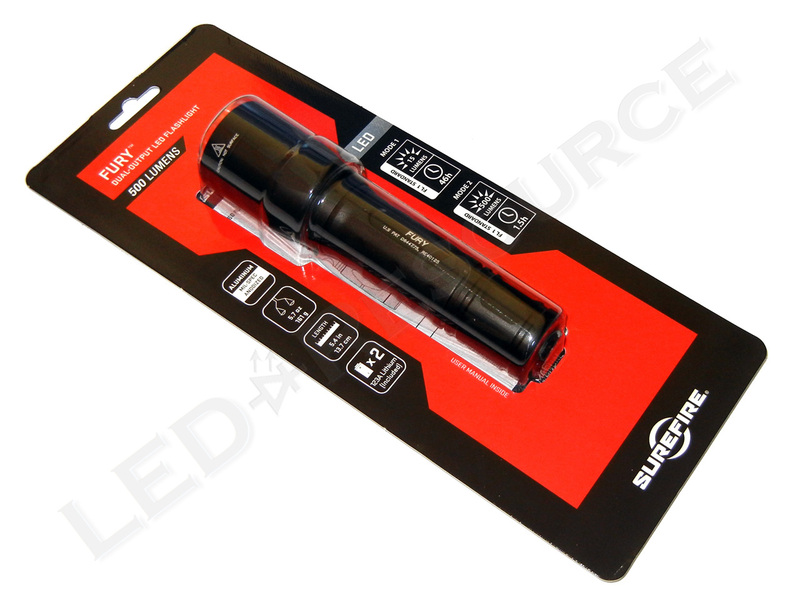 Included in the blister packaging are: SureFire P2X Fury, 2 x 123A lithium batteries (installed), user manual, battery safety notice, registration card, and a SureFire sticker. Like most of SureFire’s lights, the P2X Fury uses lithium 123A batteries. 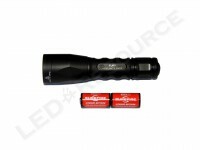 These batteries have twice the voltage of a common 1.5V AA battery, and this high energy density makes them ideal for high-powered flashlights. High energy density also makes it essential to only use quality 123A batteries, as low-quality or counterfeit 123A batteries can be dangerous. SureFire recommends only using Duracell, Energizer, Panasonic, or SureFire branded CR123’s. 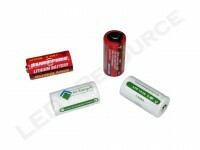 Rechargeable 3.2V lithium phosphate 123A batteries can also be used. 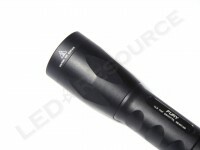 The head features an anti-reflective coated glass window and a textured reflector. Flat areas on the head stop the light from rolling away when set on a flat surface. The body is type-III anodized, which is a tough finish that resists scratches and corrosion. Instead of knurling, the Fury has a sculpted body which is smooth and easy to grip. On the tail cap is a forward click switch, which is covered with textured rubber. To activate the lockout tailcap feature, unscrew the tailcap until the light no longer turns on (usually about a quarter-turn). Based on the 6PX Pro, the P2X Fury is also a dual-output flashlight designed for non-tactical use. 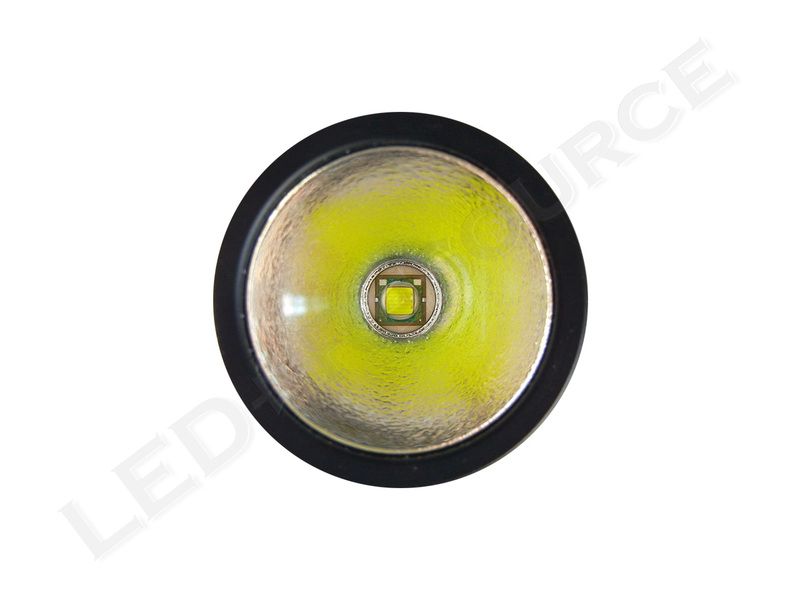 With the first press or click, the 15 lumen low mode is activated. 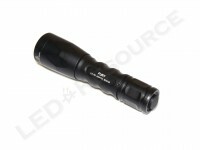 After returning to off, a second press or click activates the maximum output of 500 lumens. With the combination of high-energy 123A batteries and a high-performance Cree XM-L LED, the Fury is capable of a maximum output of 500 lumens. 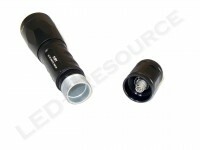 This is equivalent to a 40W incandescent light bulb, which is an incredible amount of light from a compact flashlight. 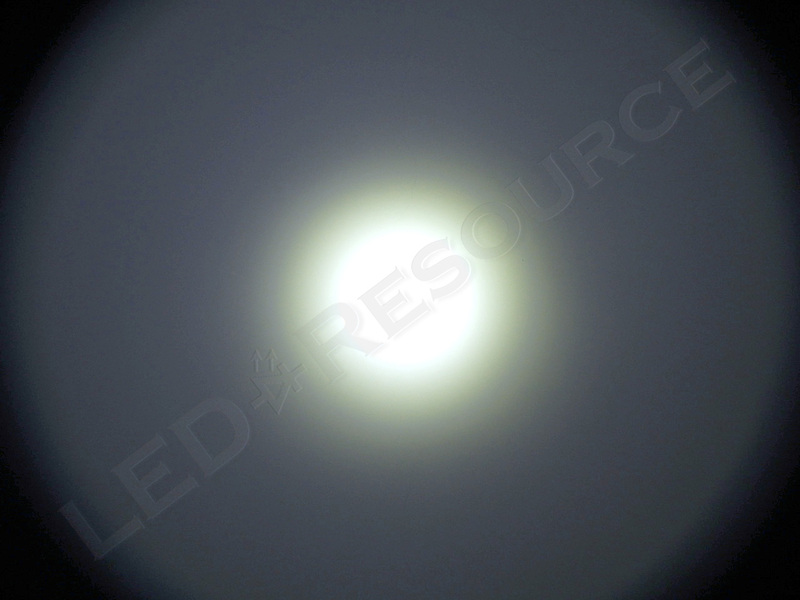 A textured reflector produces a smooth and floody beam pattern that easily lights up a wide area. 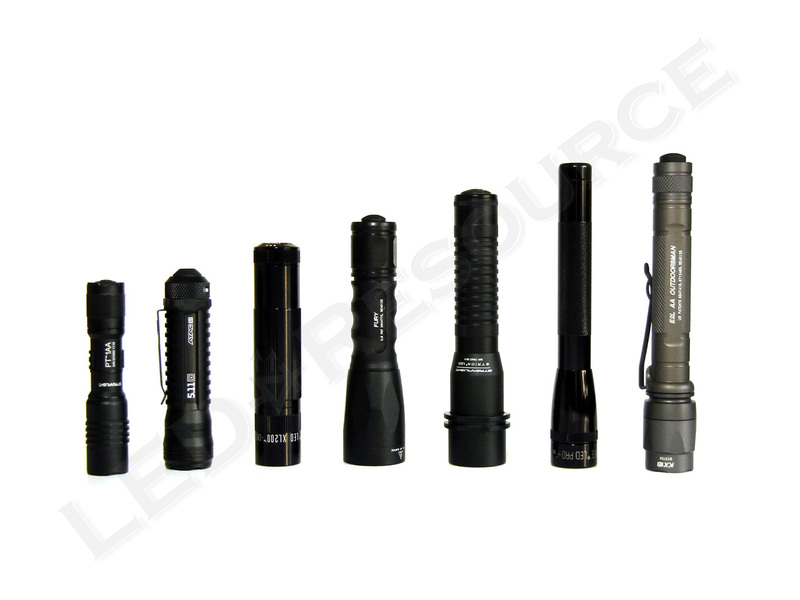 SureFire states runtime for their lights as “tactical runtime,” which is runtime until 50 lumens. 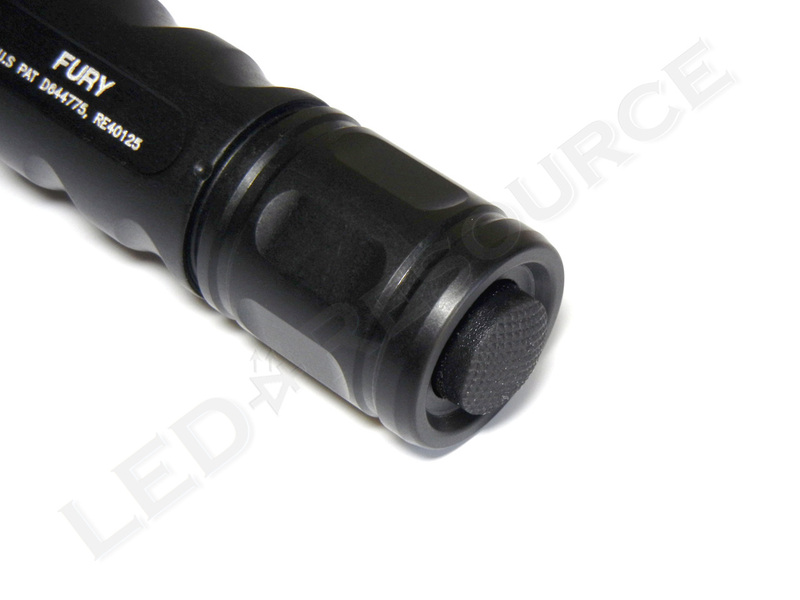 For the Fury, the tactical runtime coincides with the ANSI FL1 Standard because 10% initial output is 50 lumens. Runtime is significantly shorter with rechargeable lithium phosphate 123A batteries, so we would recommend carrying a spare set of primary 123A’s if you will be without access to a charger. SureFire offers several accessories for the Fury, including spare battery carriers, filters and diffusers, and lanyards. 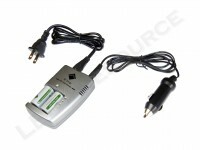 More interesting, however, is the rechargeable 123A battery kit that we received to test with the Fury. 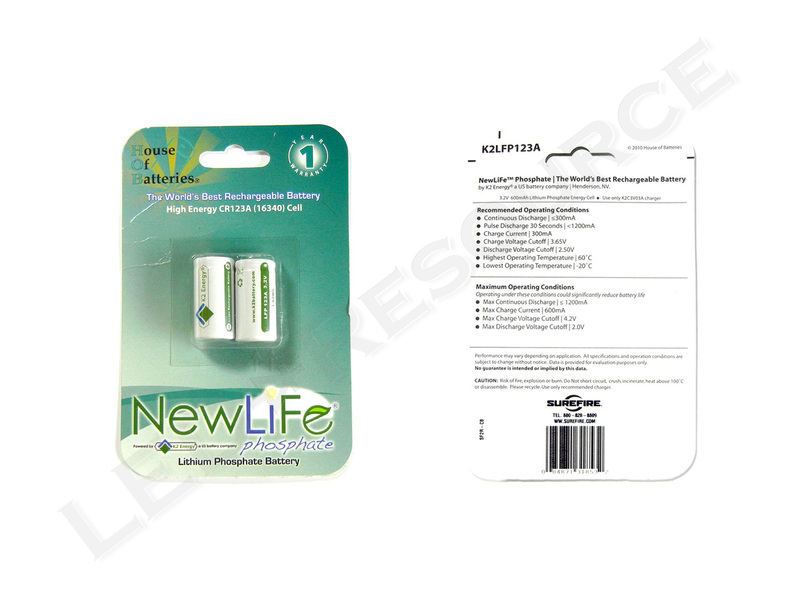 Manufactured by K2 Energy, the 3.2V lithium phosphate 123A batteries have a capacity of 600mAh. Compared to 3.0V lithium primary 123A batteries, which are approximately 1500mAh, the rechargeable lithium phosphate batteries last about half as long. That being said, the rechargeable kit not only pays for itself after just a couple charge cycles, but they are also safer to use than lithium primaries. 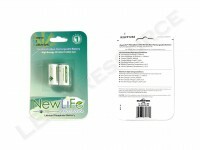 Pricing for the kit, which includes two batteries and a charger, is expected to be $29, and additional pairs of batteries can be purchased for $12. 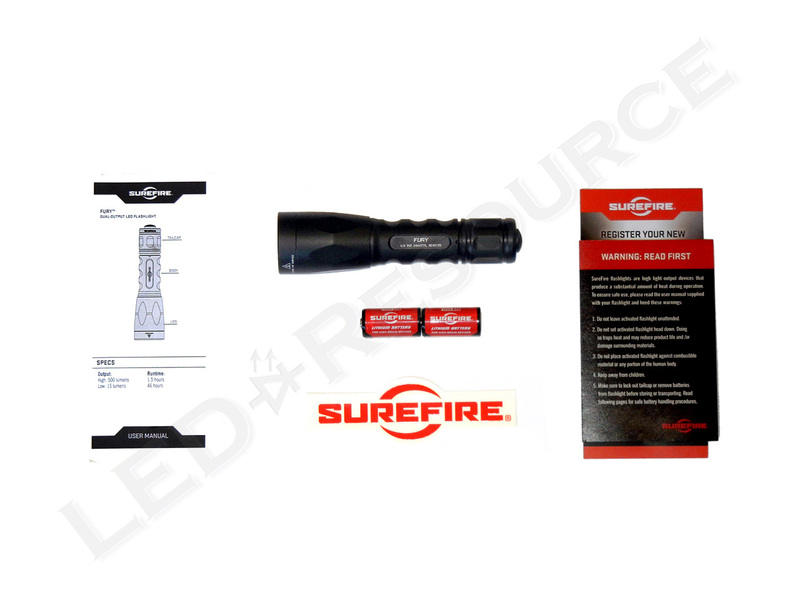 Both the kit and extra batteries will only be sold on the SureFire website and should be available for order within a couple weeks. 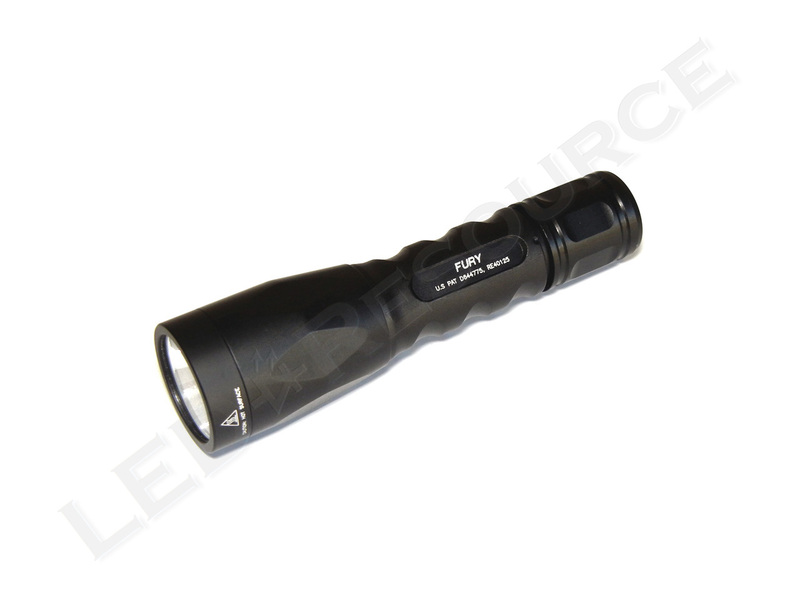 There’s no doubt in our minds that the SureFire P2X Fury is bright – 500 lumens is a serious amount of output. Even more impressive than its output is the moderately priced MSRP of $155, with many retailers selling the Fury for even less. If you’ve been using tactical lights for a while, you are probably already familiar with using 123A batteries. 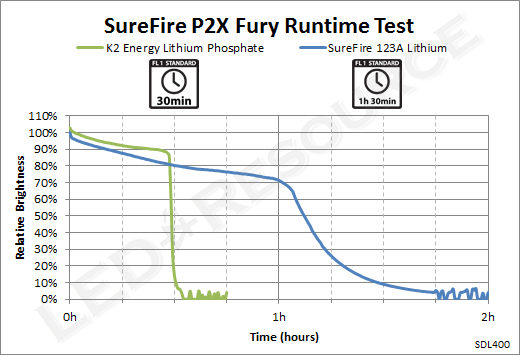 However, for those who are new to the battery type, the SureFire rechargeable lithium phosphate kit makes it easy to overcome the expense of lithium 123A batteries and still get great performance from the Fury. Our only gripe with the P2X Fury is that the low mode activates first, and after getting accustomed to the 500 lumen high mode, the low mode really doesn’t seem very bright. Even though the P2X Fury isn’t designed for tactical use, we would have preferred a little more light on the low mode because it’s quite a big jump from 15 lumens on low to 500 lumens on high. 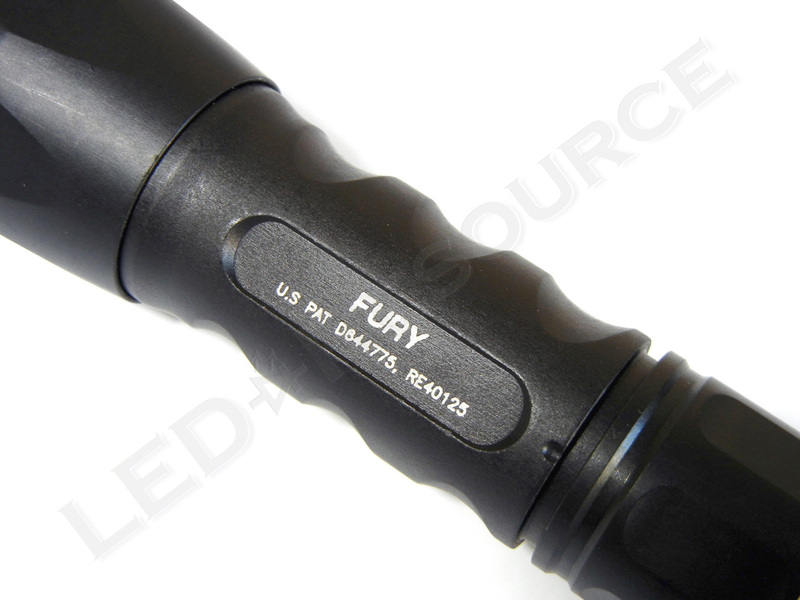 When we mentioned this to SureFire, we learned that the P2X Fury is actually just the first model in the Fury family of lights, with Tactical, Defender, and CombatLight versions due to release in several months. If the dual-output of the P2X Fury is not the thing for you, the upcoming tactical versions will feature one-step access to high. It’s always good to have choices, right? I’m from Pakistan. Here the standard voltage for running electrical things is 240. 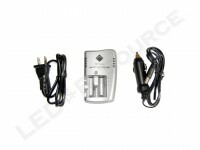 I have got the LFP K2energy charger for my fury. Do I have to use a voltage converter to bring it down to 120V or can I use the charger straight away on 240v? I will highly appreciate if you help. 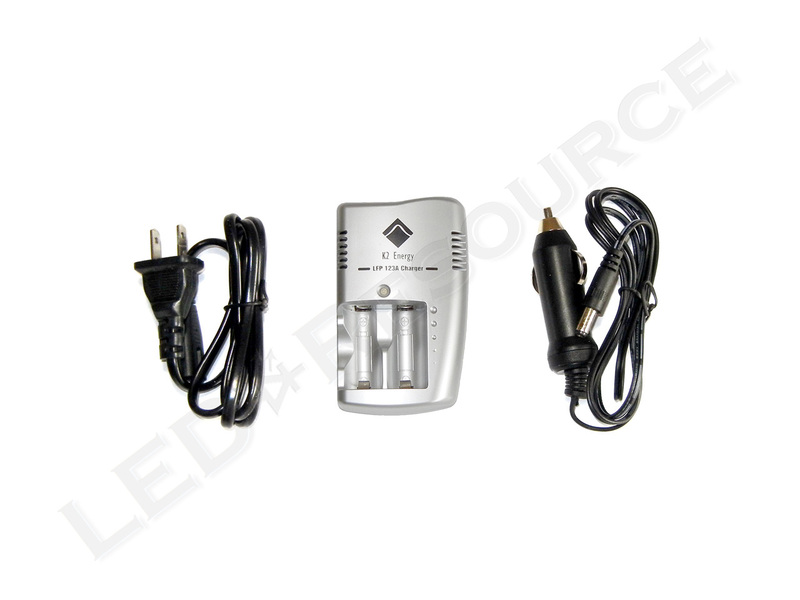 On the back of the charger, it lists input AC range as 110-220V. You should be fine with 240V. It also takes DC 12V using a standard 5.5mm x 2.5mm barrel plug, so you can use an AC adapter. I recently bought the Fury and was at first concerned about the low then high clicking, but on my first run with it I found I quickly adapted to it and now I think it’s great and funny that it might be confusing to the person on the receiving end to see a low then very high lumen flash. 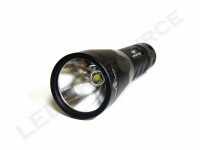 Will you do a review on the G2X/6PX (320 lumens)? I’m curious of the runtime on LFP123s. A recent posting on candlepowerforums details the runtime as around 45 minutes on high. Before this I thought it would be around 1 hour. A bit disappointing though as I own the G2X Pro. I like it but the runtime on LFP123s is kind of low. Unfortunately, I do not have a sample of the G2X or 6PX. Typically, lithium-phosphate runtime is half of lithium primary, so 45 minutes would be about right. Oh I see, makes me feel a bit sad though, but thanks for the reply. Hopefully in the future someone can give the samples for you to test. 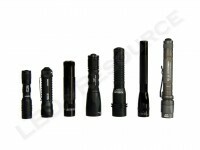 To me they are some of Surefire’s best new generation lights. The tint is nice, the light looks nice, feels good to hold, the runtime is better than quite a few of the more expensive models and the price is the lowest so far. I wish someone would be able to advance the technology of lithium-phosphates and improve cell capacity. Can anyone tell me the distance light that p2x fury have? 100m? 200m? and so on? ANSI beam distance is calculated based on peak beam intensity. For 9,400 candela, beam distance is 194 meters.